With the input of personal data provided through the registration form, the user expressly agrees that these data are incorporated into files belonging to Photicos with the purpose to identify and provide access to other applications contained Web Site hosted under the APP name Photicos, and to send commercial information and advertising products and services Photicos. Responsible for the site Photicos. The app developer Trackalia Apps, residing in Islas Caimán, bl.4, k, Isla Plana 30868 (Spain). The User authorizes and expressly agrees that in the event that Photicos is acquired by another company or its assets were purchased by a third party their data will be transferred to the company or third party, provided that such assignment is respects the purpose and object for which the data were originally collected. Also, as far as possible, generally Photicos will inform all users of that acquisition or purchase through the Web Site or APP. The app is automated and has its own system of security measures, as required by current legislation on data protection, to prevent the loss, misuse, alteration or unauthorized access. PHOTO ALBUM (in app). Photo albums can be shared by the app Photicos, in public and private mode. In case the user decides to make private, may only be viewed by Photicos, and the author. In any time, the user can change the privacy mode of albums. If you do not share the photo album, nobody can access the pages created. As a registered user, any content you send through the application of Photicos for the public will be visible by any other user of the application, and authorize, in this way that any user can share on other social networks. Also you authorize Photicos to share this content, including images, text or complete photo album through any social network or website, provided that you have sent this content and public. At any time you can change the content privacy if you want that is not shared across the network. Communications Service. 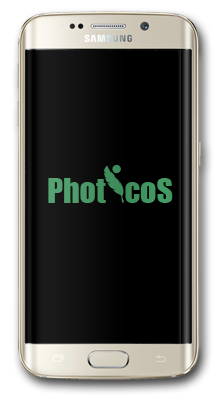 The social network service that provides its users Photicos incorporates a feature that allows registered users to send communications Photicos each other via email. Photicos users can also send invitations to people who are not registered users of Photicos. Email addresses of these people will not be stored by Photicos and will only be processed for shipment point of the invitation by the user of the invitation. Email addresses of all registered users will not be published, and this shall be done by an internal form Photicos. You acknowledge and agree that sending communications via this system allows communication recipients can see the email provided in the registration process Photicos, provided they have indicated on the form. Por favor, contacta con nosotros a través de nuestro email.